This was a read-in-a-day kind of book. With a starting line of 'It was the fault of airport security.' you know that something terrible is going to happen and my finger of blame was poised to point right from the start. As it happens, I actually chose the right person as, for once, I added up the clues and got to the right answer. 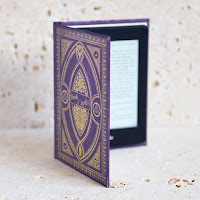 That doesn't mean that the book was predictable in any way at all, there are plenty of surprises in store and I didn't know I was right until the very end. Joanna didn't know Alistair was married when she first met him and when she did find out, it was too late. She was already in love with him and felt like the most important woman in his life. What Joanna doesn't know is that Alistair is good at using the right words in whatever situation demands it, his job is basically a fixer for politicians. Whatever bad press is coming their way, Alistair can spin it into a favourable light. Alistair and Joanna are on their way to Australia to fight for custody of Alistair's daughter, Chloe, from his first marriage with Alexandra. They are bringing with them their 9 week old son, Noah, who is fractious throughout the flight and the parents take turns looking after him. Joanna is understandably fraught and the other passengers remember her when she later appears on TV after Noah goes missing in Australia. With no sign of him, what really happened to baby Noah? Somebody knows and somebody is to blame, but all eyes turn to Joanna and she starts to question her own sanity. 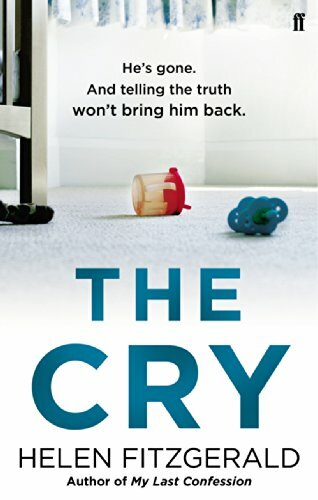 Alistair, despite Noah's disappearance, is still planning to fight for custody of his 14 year old daughter, Chloe, and Joanna fears that he is planning to pin Noah's disappearance on his ex-wife, Alexandra. The two women have more in common than they think; Alistair his spun the words they want to hear around both of them. As Joanna picks up all the pieces of Alistair's history, she wonders just how important she is to him and to what lengths he will go to portray the desired appearance. 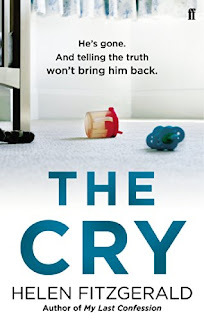 The Cry is an absolutely gripping story from Helen Fitzgerald, I was riveted from start to finish. We are able to read passages from 'now' when Joanna is on trial whilst trying to dig through what happened in the past. What exactly is Joanna on trial for? I didn't guess and I'm sure you won't guess too! I finished reading on the same day that I started, so that's a 5 star read all the way for me! I wouldn't hesitate to pick up another novel by Helen Fitzgerald and I'm overjoyed to see that I have Viral in my TBR pile.